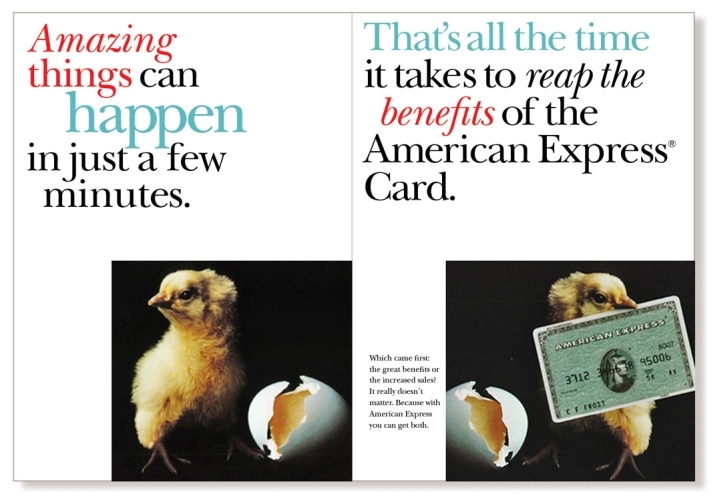 We’ve developed targeted promotions that helped American Express communicate its “value story” to Cardmembers across the country. An offer they can’t refuse: Attendees at Grammy® Award festivities get complementary desserts at their favorite Manhattan restaurants (when they pay with The Card, of course). 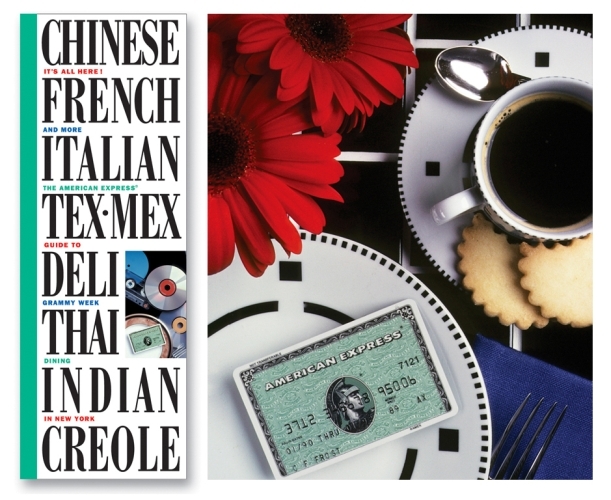 Still-life photos by Peggy Barnett. 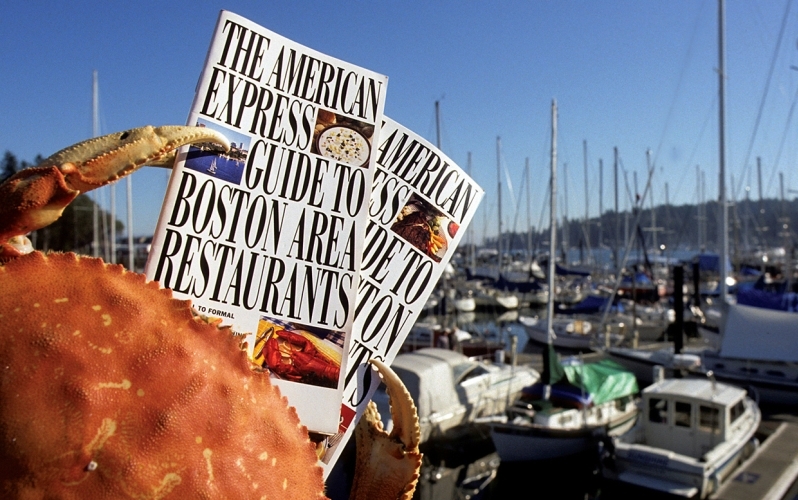 Restaurant guides direct Cardmembers to establishments that welcome The Card. This co-op campaign, with display advertising and direct mail components, ran in cities all across America. Illustration by Terry Allen. 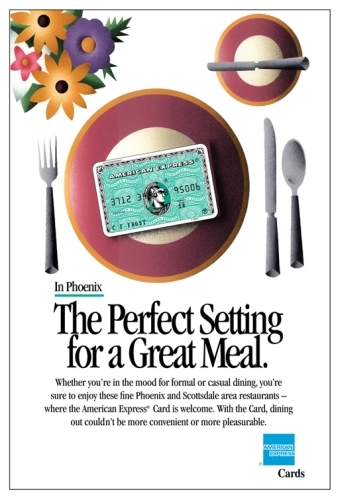 Our marketing pieces achieved record success in teliing the American Express Value Story and signing up new dining, lodging, and retail establishments. 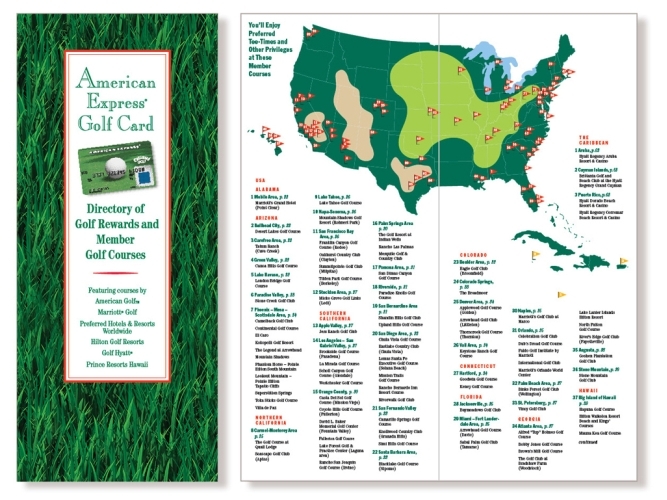 Rewards await Golf Card members at courses around the world. We do it all: Brand identity, art direction, communications coordination, writing, and production of this annual directory of 300+ luxury properties around the world. 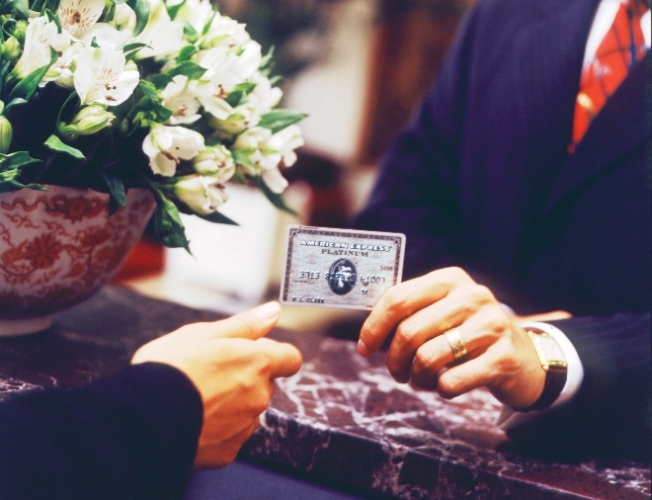 Glamorous hotel shots alternate with pages of well-crafted listings that highlight amenities exclusive to American Express Platinum Card members.